· Season: Our expert handicappers analyze the performance of each team in the upcoming tournament mainly on the basis of the statistical records of the previous seasons. They minutely observe the scoring points, league standing, maximum goals scored and other essential factors determining the possible contenders to win the current season’s tournament. To gain more insights our experts also contact the supports staffs of such teams to know more about the previous season. Based on every collected raw data they can help clients to place appropriate bet for the teams having brilliant possibilities in the current season. · Performance of the individual players: Statistics of the individual players are also important. Presence of a talented player in a team sometimes resulted in a superb performance in the tournament. Our professionals mainly analyze the future performance of the team in the absence of its key player. Players scoring top goals in the tournament are also scrutinized to predict their similar performance in the upcoming tournament. Our professionals not only focus on the goal percentages of the players but also on their blocks, steals, defensive rebounding, success of their foul shooting, offensive rebounding, three point percent and more. Sometimes blocks and tackles can have a sufficient impact on the outcomes of these games. Players fully equipped with such techniques are always in the radar of the bookies to invest heavily on them. · Coaches: Coaches do have a powerful impact on the performance of the competing teams in the current season. Before providing valuable inputs to the clients our handicappers collect much information about the coaches using their special sources for such purpose. Whether positive or negative attitudes of the players towards their coaches is also taken into consideration for successful predictions. How far coaches have contributed in the improvement of physical movements of the players is a major factor in determining the scope of the team in the upcoming season. Even the past records of the coaches are also taken into consideration. It is the coach who can obtain terrific performance even from a mediocre player so they are always in our radar for providing much information to the bookies. 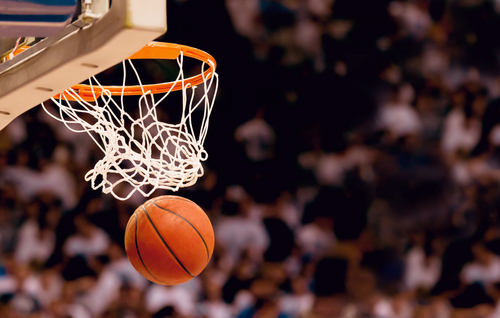 · Matchups: You will need to analyze matchups on the basis of positions and so try our frontcourt matchups technique to obtain accurate prediction results. Frontcourt matchups can help you to easily determine which team has a better defensive players, inside shooting club and rebounding players. We also compare the quality of power forwards, centers and small forwards. On gathering all these technical facts we can help our clients to place their bets on the appropriate teams of their choice. · Current performance: This mainly includes matches that are played before the beginning of the major tournaments and such matches are mainly termed as practice match as it prepared the players to cope with the pressure and expectations during the main tournament. Our handicappers assess the pre-tournament performance of the teams with maximum goals scored by individual players. Based on such raw data our professional handicappers do provide an insight into possible contenders for the big tournament which is quite near. If pre-tournament performance of any team or player is not satisfactory we refrain clients from investing heavily on them and if it is quite satisfactory we ask clients to invest their preferred amounts. However, motivation of the players is also a big factor in every major tournament and so we predict our findings after a great amount of research work to our clients. · Players suspended or injured: The possibility of any team in a major tournament is also dependent on the availability of experienced and capable players having solid stamina to inflict heavy physical and technical resistance to the opponents. Outcomes can be affected to a considerable extent if any key player or group of players are unavailable because of injury or match suspension. So while providing useful inputs to the clients our handicappers do take into these factors into consideration before predicting the outcome of any team in a major basketball tournament. There is no possible guarantee that the new players are capable of delivering equal performance in the absence of veteran players. Though we can obtain these facts but we do not encourage clients to take such volatile betting risks in the absence of solid data. Sometimes when any key player is suspended immorally often hits the motivation of the entire team to a great extent. Based on our findings even the electric atmosphere of the high volt tournament fails to lift their morale and so we resist clients to avoid spending on such teams crushed mentally. To know more about such handicapping techniques you are free to log on our site anytime to speak to our expert handicappers. For testing your handicapping skills we also arrange for occasional handicapping contests where winner will receive tickets for all the matches of NCAAB tournament. So hurry without wasting any more time get an opportunity to sharp your skills as it guarantees as a profitable profession in the future course of your life. We are a registered sport handicapping firm and so you will not be fooled to lose your money. We know the pain of losing hard earned money and so we will not draw our service charge unless you enjoy surplus profit from our service. To prevent your useless money wastage we have posted in our site certain guidelines when you deal with any suspicious handicapper. Please follow the dos and don’ts for your own safety and security. You need to remember that many frauds have entered into this lovely profession and tarnishing its image to a considerable extent.